$30 rush tickets are available beginning two hours before a performance at the box office (subject to availability). LCT offers $30 student rush tickets beginning two hours before a performance at the Box Office (subject to availability). Student rush tickets are limited to one ticket per performance and you must show a valid college/university ID to purchase a ticket. Please Note: not all performances have student rush tickets. LCT3 produces shows by new playwrights, directors and designers—new ideas in a new space. All seats are $20 all the time. For more information, visit LCT3's website. 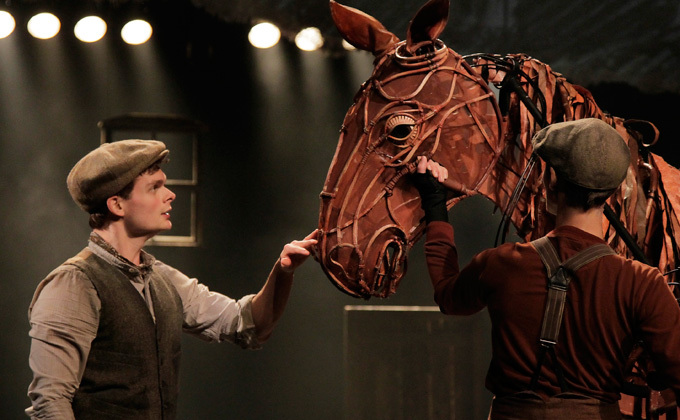 (L. to R.) Andrew Durand and Leah Hofmann in a scene from Lincoln Center Theater and the National Theatre of Great Britain production of WAR HORSE.